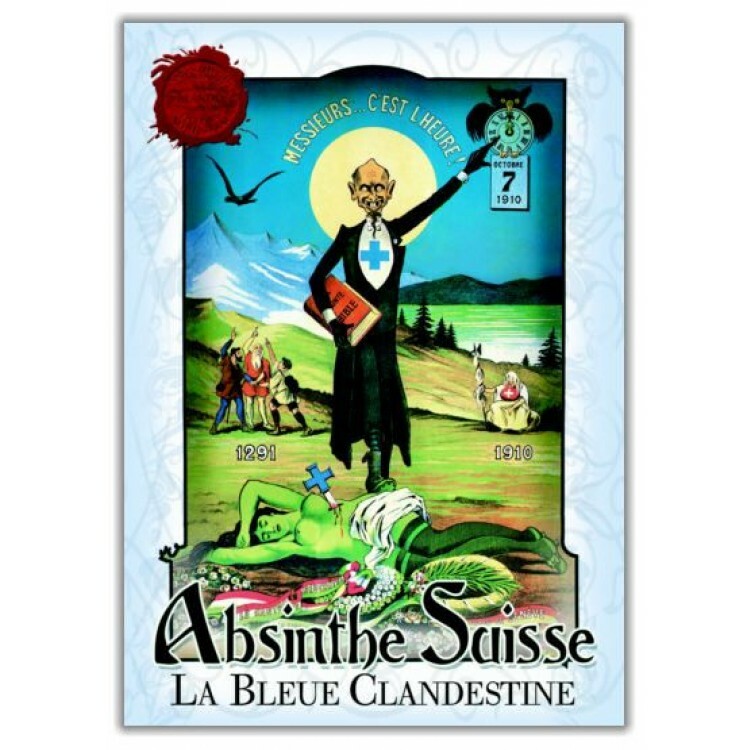 This is the poster edition of the one and only Absinthe prohibition label of ALANDIA's Suisse La Bleue Absinthe. This is the poster edition of the one and only Absinthe prohibition label of ALANDIA's Suisse La Bleue Absinthe. 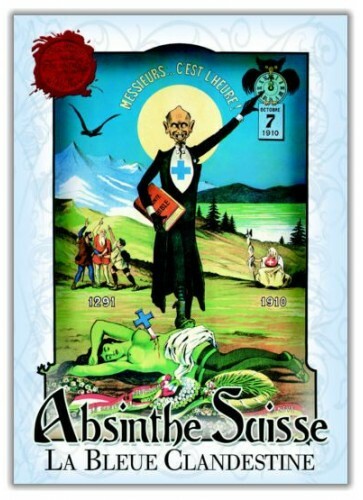 The Absinthe poster shows the end of the Green Fairy, when Absinthe was prohibited in the year 1910 in Switzerland. The priest wears the blue cross, which was the symbol of the anti-alcohol movement in those days. The blue cross is also in the breast of the Fairy, symbolizing the end of a glittering period.